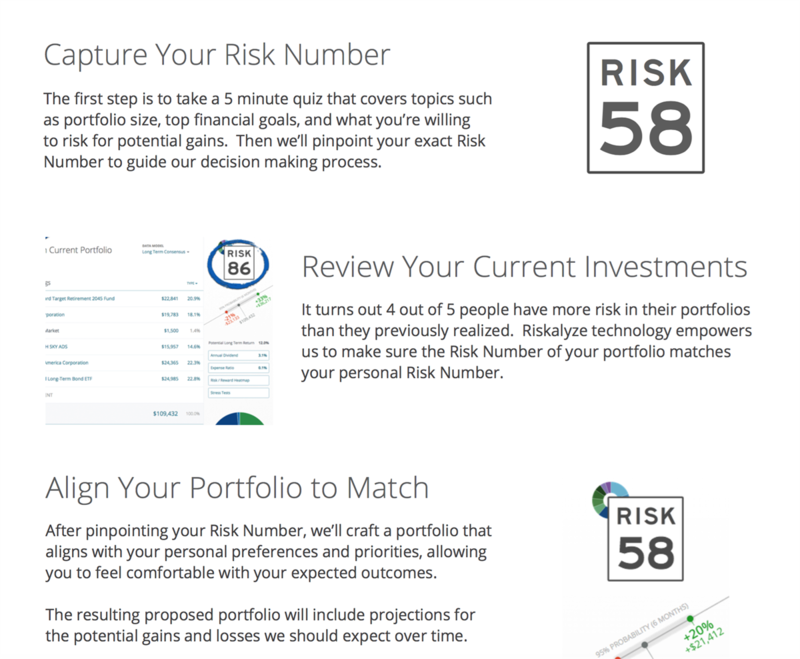 To better understand your financial goals and align it with your portfolio, we have partnered up with the Quantitative Risk Assessment platform, Riskalyze. Risk Preference - How far can a client’s portfolio fall, within a fxed period of time, before he or she capitulates and makes a poor investing decision. Does your Risk Number match your current portfolio? By completing this quantitative risk questionnaire, our team will better be able to craft and maintain a portfolio that fits your needs and help set you up for long term success.